How often do companies get face to face time with their customers? For many, not often, which makes digging into the minds of customers a mystifying and frustrating task. Thankfully, people worldwide are now constantly connected via their smartphone, tablet, laptop and more. We’re taking advantage of this connection to help our clients understand their customers better than ever and so can you. Michael Dalzell from Stormtech and Lauren McCrae from Lux Insights recently spoke at the 2018 MRIA conference on the power of using video responses to illustrate customer personas to an entire business. To bridge the gap between qual and quant, Lux used Voxpopme to collect video responses in online surveys and Curator video to record in-person interviews. This tool makes the process of dealing with video on the back-end more manageable and enjoyable. It’s more exciting and engaging for people answering surveys! 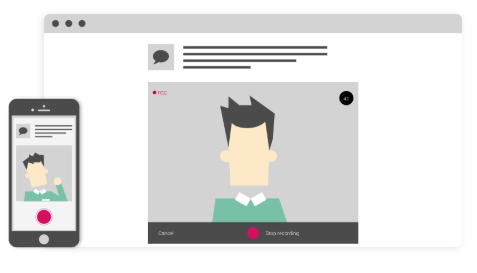 Video enhances insights by capturing both verbal and non-verbal sentiments. When put into short showreels, these sentiments are powerful demonstrations of what customers think and bring specific open ended questions to life. It’s also easier to get entire organizations on board with research findings once they hear customers vocalize their thoughts and see their facial expressions. Using Voxpopme, Stormtech could more quickly visualize each customer persona and their motivation of being outdoors. Here is an example video reel on customers’ favourite beer brand provided by Voxpopme. Ready to meet your customers? Talk to us, and we’ll get them to talk to you. *This image is provided by Voxpopme. 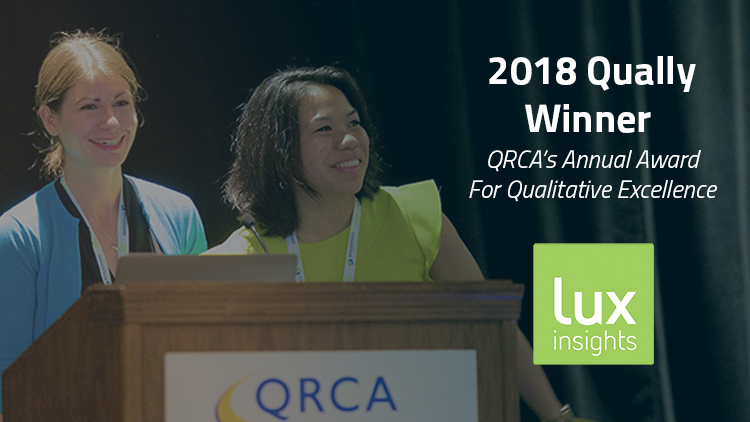 Congratulations go to Lux team members Lauren McCrae and Nicole Aleong who presented the submission at the 2018 QRCA conference held in Phoenix last month. QRCA is North America’s primary qualitative research organization and the award recognizes the most creative methodology in response to a hypothetical RFP. We will be donating the $1,000 prize to our charitable partner, G Day, a national event series which celebrates girls’ transition from childhood to adolescence. $1,000 will pay for 10 girls to attend G Day this May. To learn more about our relationship with G Day, click here. A special shout-out to Lauren McCrae for her 9.9 out of 10 audience score for her session entitled, Using Behavioral Economics to Elevate Your Qual Research Game. We’re so proud of you, Lauren! 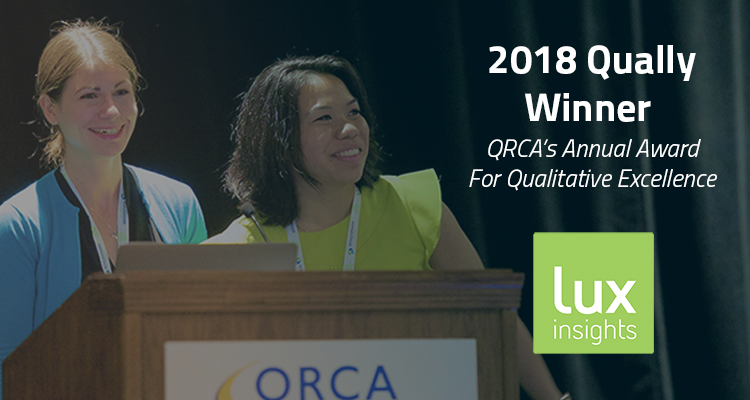 Lux Insights regularly attends the annual QRCA conference which helps ensure that we are on top of new trends and techniques in qualitative research. If you are interested in learning more about QRCA, please ask! In the meantime, we’d love to apply what we’ve learned to help meet your research needs. Ensuring clients obtain high ROI from their insight community panel programs from his time at Vision Critical. This includes focusing on innovation, experimentation, member engagement and internal stakeholder collaboration. 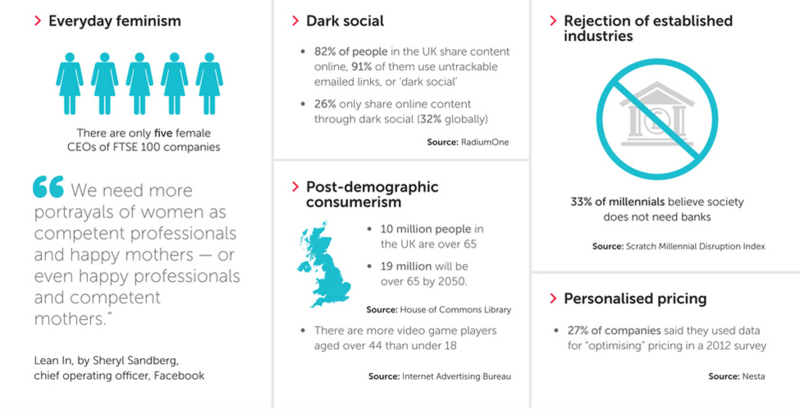 Brand and advertising research from his time at Ipsos Connect (formerly Ipsos ASI). This includes brand positioning and health, competitive assessments, communications testing and in market brand and ad tracking. Learning and applying knowledge to client solutions both within and across sectors (which he tremendously enjoys). 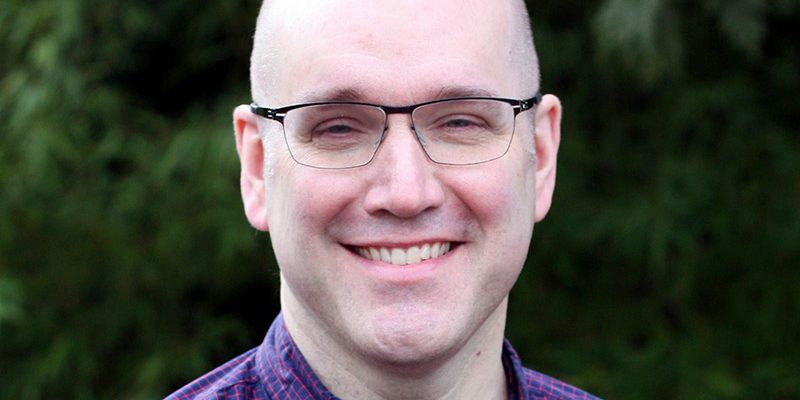 He has had the privilege of working with smaller organizations, where often he has been able to see how the insights work can have a profound impact on the business – to large global brands such as Amazon, Nordstrom, Warner Bros, VISA, Westjet and L’Oréal. Jeff and his partner Armand have lived in Vancouver’s vibrant Gastown area for the last 10 years (they even had a stint owning a small restaurant café there!) and they enjoy exploring the ever-changing food scene in his neighborhood. 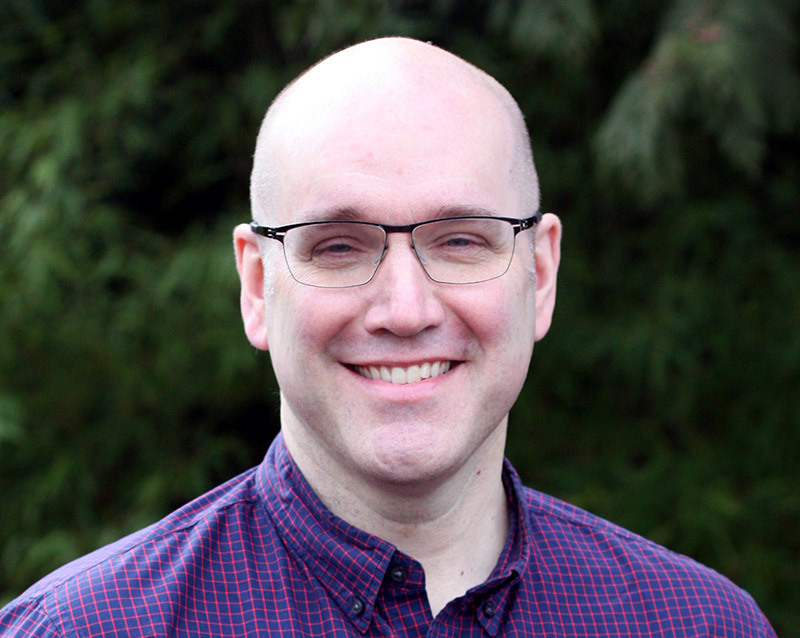 Jeff loves watching DIY home renovation shows with the hopes that it will inspire him to finish the long list of projects he and his partner have for their townhouse. He blames the big loves of his life as keeping him sidetracked – their two dogs; Hudson, a 2 year old Cavalier King Charles Spaniel/mini Australian Shepherd mix and Macy, a 3-month old Shetland Sheepdog. If you walk the streets of Gastown on the weekends, you will likely catch them out on a stroll or romp in the park.